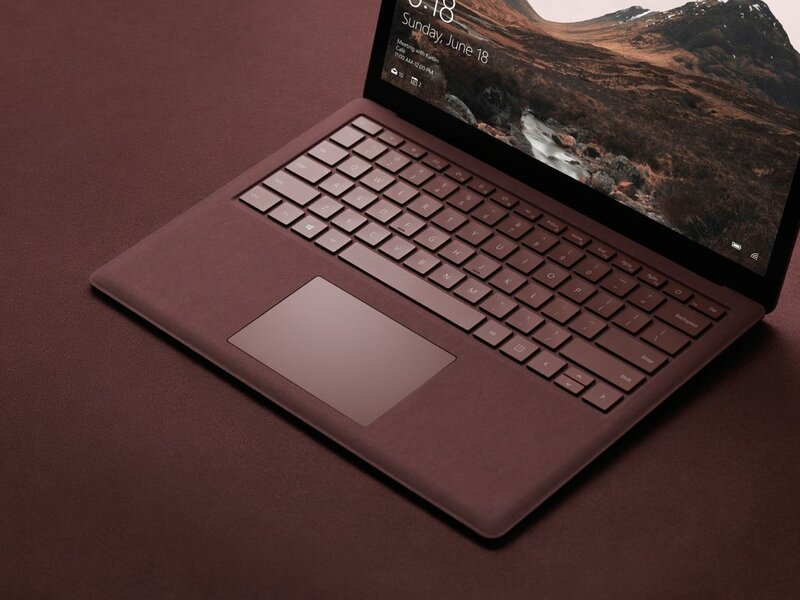 At its educational event held this morning in New York City, Microsoft unveiled Surface Laptop, its $999 MacBook rival available for preorder beginning today ahead of its planned release this summer. The device runs the new Windows 10 S operating system, the company’s answer to Google’s Chrome OS, and features a clamshell body weighing at 2.76 pounds and measuring 14.47mm at its thickest point and tapering down to 9.9mm at its thinnest point at the front. 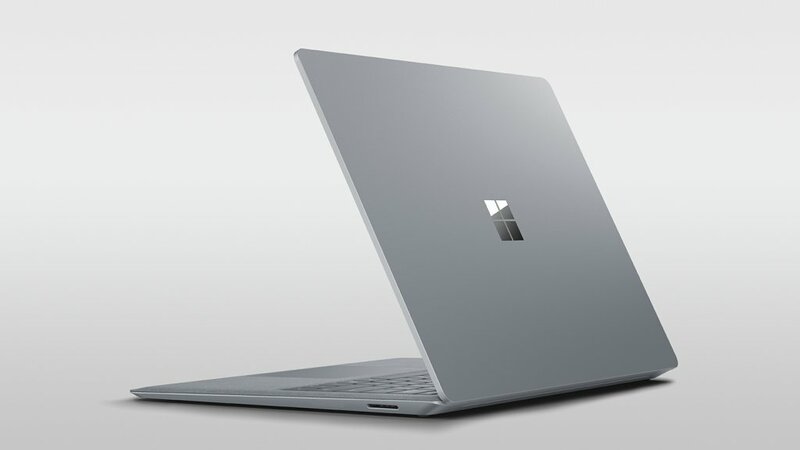 Surface Laptop runs either Intel’s seventh-generation i5 or i7 processor and sports vapor chambers integrated into the anodized aluminum finish on the rear to help keep it cool. 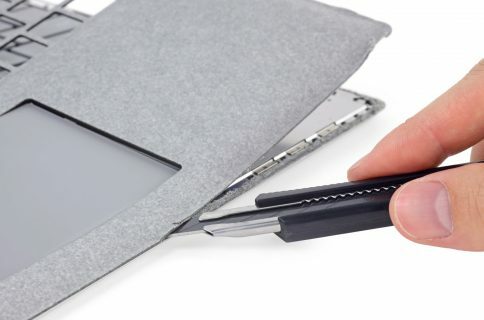 It’s got a 13.5-inch PixelSense LCD touchscreen with a 3:2 aspect ratio featuring 3.4 million pixels (withCorning’s Gorilla Glass 3 for protection) and supporting the Surface Pen stylus. 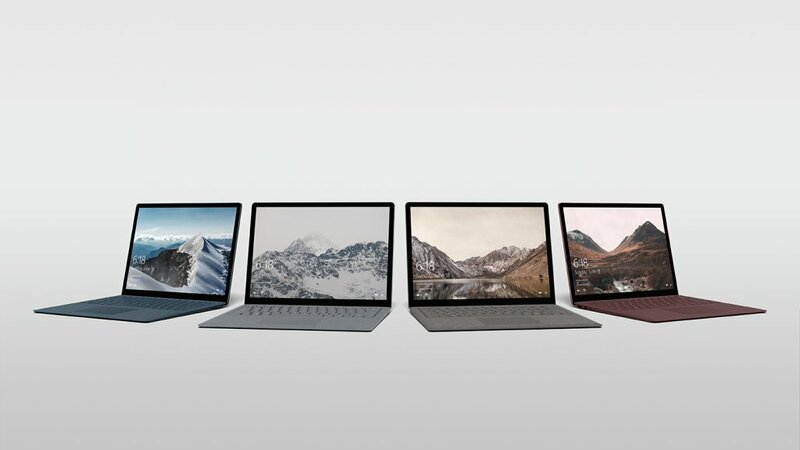 “This is the thinnest LDC touch model every created and put into a laptop,” says Microsoft’s Panos Panay, who took to the stage to unveil the new products today. Watch a reveal trailer for Surface Laptop below. The laptop is outfitted with a 14.5-hour battery. That’s “up to four more hours of battery power than a 13-inch MacBook Pro” and “more battery life than any MacBook Air on the market today,” says the Windows maker in another comparison between its new notebook and Apple’s MacBook line. The Windows maker claims you can watch as many as fourteen episodes of your favorite TV show in one sitting, without ever plugging in. The device’s keyboard has a 1.5mm travel, with the backlit keys made from the same material used for premium Surface Pro covers, called Alcantara fabric. The speakers are integrated underneath the keyboard, but there are no speaker grills or holes. In terms of connections, Surface Laptop comes outfitted with a regular USB port, mini DisplayPort and the conventional Surface power connector, but no USB-C.
Windows 10 S or Windows 10 Pro? Because it runs Windows 10 S, Surface Laptop can only run apps offered on Windows Store. Google Chrome is not found on Windows Store and Spotify’s app with support for Surface Dial will be coming to the store early this summer. If you want to run apps not found on Windows Store, you can optionally upgrade to Windows 10 Pro for a one-time $49 fee. Because Windows 10 Pro is the full version of Microsoft’s operating system, upgrading may result in reduced battery life and performance, cautions the Windows maker. Microsoft now has three families of Surface devices in its lineup: the Surface Pro 4 notebook/laptop hybrid, the all-in-one Surface Studio and the new Surface Laptop. Surface Laptop is available for pre-order via Microsoft Store starting today. 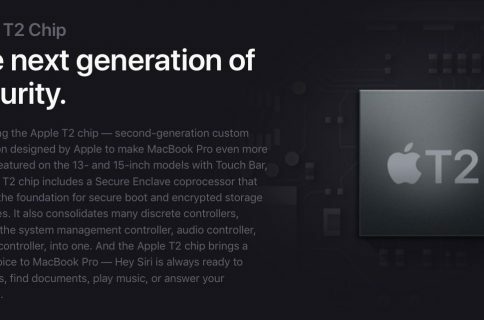 The entry-level $999 model uses Intel’s seventh-generation Core i5 processor with Intel HD Graphics 620, four gigabytes of RAM and 128 gigabytes of flash storage. 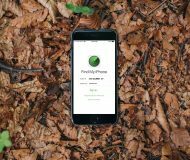 The $1,299 model uses 256 gigabytes of flash storage and eight gigabytes of RAM. The more powerful $1,599 model comes outfitted with Intel’s seventh-generation Core i7 processor with Intel Iris Plus Graphics 640, eight gigabytes of RAM and 256 gigabytes of flash storage. The flagship $2,199 model upgrades your storage and RAM to 512 and sixteen gigabytes, respectively. 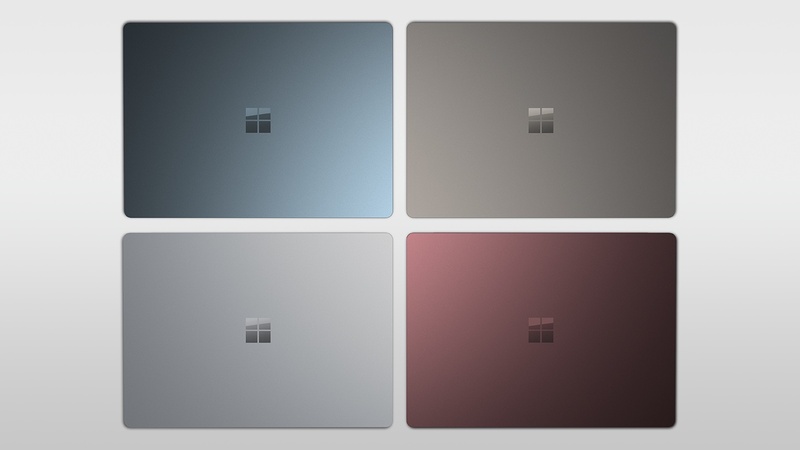 Surface Laptop comes in four colors: Platinum, Burgundy, Cobalt Blue and Graphite Gold. The notebook will start shipping this summer on June 15. 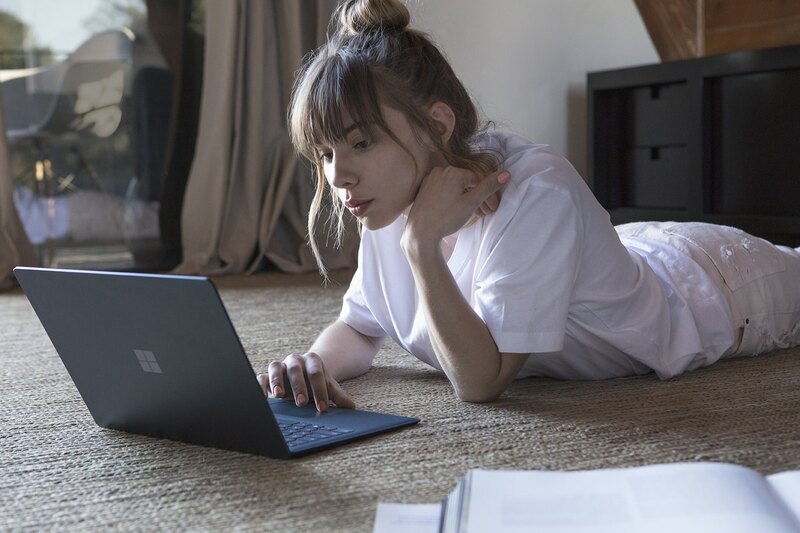 For a limited time, Surface Laptop comes with an offer for one-year subscription to Office 365 Personal and one terabyte of free storage on OneDrive, giving you full access to Microsoft Word, Excel, PowerPoint and OneNote.